LITTLE ROCK—More than 120 students in grades 4-12 were honored last week for earning positive investment returns in one of the most volatile stock markets of recent years, but they also learned that investment success requires persistence through many ups and downs—just like real life. Economics Arkansas hosted a luncheon at Verizon Arena on May 10, 2016, to honor the first- and second-place winners of the Spring 2016 session of the Stock Market Game, an investment simulation program for students in grades 4-12. The junior investors received cash awards and trophies for growing a hypothetical stock portfolio of $100,000 over the course of 10 weeks. The highest-performing team—three junior high school students from Subiaco Academy in Subiaco, Logan County—increased their portfolio by more than 34 percent. Economics Arkansas, a nonprofit educational organization that trains educators how to integrate economics and personal finance concepts into the K-12 classroom curriculum, hosts the Stock Market Game program each fall and spring semester. It is a project-based investment simulation designed to teach saving and investing while also enhancing students’ math, business, communication, economics and analytical skills. Almost 2,500 teams (approximately 7,380 students) participated in the Spring 2016 session. The combined registrations for both fall and spring sessions during the current school year total a record participation rate of 5,520 teams, almost 13,000 students. The numbers represent an increase of 28 percent compared to last year’s participation rate. On average, close to 10,000 students participate in the Stock Market Game program each year. Also recognized were Lance Mabrey, Rector Elementary School, Rector School District, in the category of Teacher Division; Johnny Caststeel, Mountain Home High School Career Academics, Mountain Home School District, in the category of Portfolio Advisor; and Shirley Kiefer, Subiaco Academy, in the category of Apple Award. The Stock Market Game is owned by the Securities Industry Financial Markets Association (SIFMA), and franchised to Economics Arkansas since 1999. In this investment simulation and competition, students trade “live” in the stock market. Teams of 1-5 students seek to grow a virtual $100,000 stock portfolio over the course of 10 weeks in the fall and in the spring. They compete in either the elementary (grades 4-6), junior high (grades 7-9) or senior high division (10-12) in one of the state’s six regions connected to a university economics center area. Teachers act as advisors who assist each team by inviting investment professionals to speak in the classroom, teaching their students how to research and become aware of current events that affect the market. The teams with the highest total equity at the end of each 10-week session in each division and region are recognized at the awards luncheon. The winners receive cash, medals and commemorative tee-shirts. 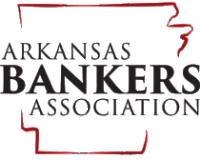 Support for the Stock Market Game program during the 2015-16 school year was provided by the Arkansas Securities Department; Bank of America Merrill Lynch; Caterpillar; Central Arkansas Planning & Development District; D&R Hobbs LLC; Donors Choose; Lou Graham, Morgan Stanley; Stephens Inc.; Riceland, and 3M Corporation. Economics Arkansas (through the Arkansas Council on Economic Education) is a private, non-profit, non-partisan, educational organization founded in 1962 by Dr. Arch Ford and led by Dr. Bessie B. Moore to promote economic literacy in Arkansas. Its mission is to promote economic literacy and the economic-way of thinking to PreK-12 students in Arkansas by empowering educators to teach the fourth “r,” real life economics.